Cartridge heaters, also called heating rods come in cylindrical form elements, in different diameters and in variable lengths. With a power differing from a few watts to several kilowatts the cartridge heaters dissipate rather high heat densities. In some applications, they can reach 60 W/cm² for a maximum surface temperature of 800°C. Pattern type elements find their application in numerous industrial heating applications. Specifically in the plastics- and packaging industry a variety of applications is known, alike the heating of seal beams and stamps. Sinus Jevi offers to a wide array of industry sectors and applications a complete package of pattern elements. The elements excellence in high quality and durability. Among the most typical applications we can mention: plastic moulding, packing and thermoforming heating equipment; tooling tray heating, injection moulding system, tooling block heating, melting channel heating, brake system heating, press platens heating. With a power differing from a few watts to several kilowatts the cartridge heaters dissipate rather high heat densities. 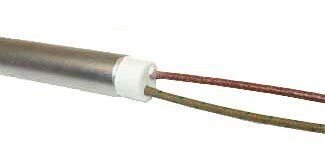 In some applications, they can reach 60 W/cm² for a maximum surface temperature of 800°C.